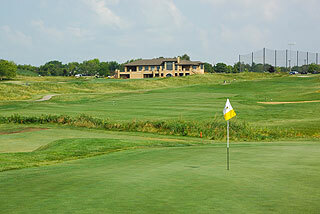 Highlands of Elgin features a Prairie style clubhouse, an 18 hole championship course, and a practice facility for every aspect of a players game. 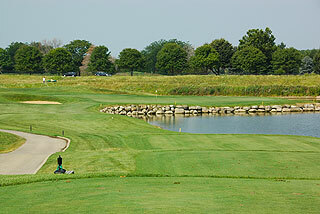 The course has been through some exciting development with a new quarry nine. 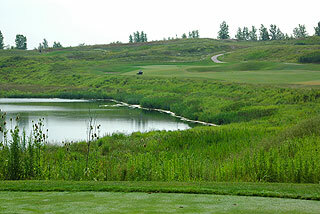 The new nine reclaims an old stone quarry, and is routed to take maximum advantage of the unique and dramatic landscape that was left behind, including a twelve acre quarry lake. 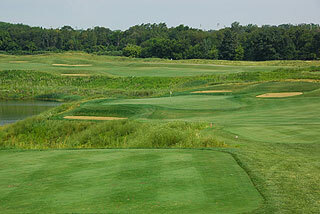 The original nine holes flow over beautiful rolling terrain, creating a diverse collection of holes. 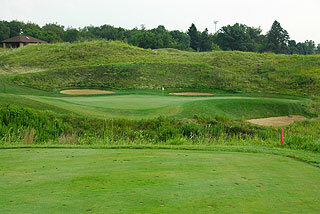 The variety of design in this layout will provide golfers with an adventure of unique golf holes in a beautiful setting. 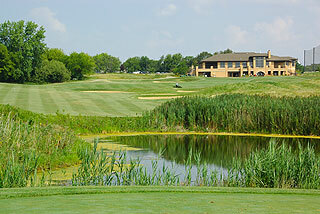 The clubhouse amenities include an expansive golf pro shop, full scale food and beverage operations including lunch and dinner, locker rooms with showers, event rooms, and stunning golf course views. 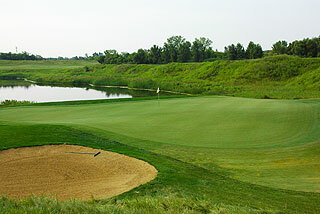 The practice area features a targeted grass driving range, putting green, and a short game area with a sand bunker. The facility is lit for use at night with 30 bent grass hitting stations and a 9,000 sq. ft. putting green. The Highlands is a links style course with wide fairways, long natural prairie grasses, numerous bunkers, and large putting surfaces. 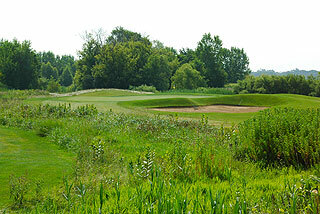 in total, 90 sand bunkers come into play greenside, and in the middle or sides near the fairway landing zones, and ten holes feature water hazards in the form of lakes off to the sides of the fairways. The front of the large sloping greens are not well guarded by bunkering so golfers can take advantage of bump and run approaches on may holes. There are five sets of tee boxes to choose from at Highlands of Elgin - four separate sets of Black, Gold, Silver, white, and 1 mixed Black/Gold. They are measured to distances and slopes of 7000 yards/136 slope, 6786 yards/134 slope, 3665 yards/130 slope, 5625 yards/122 men's slope, 125 women's, and 4901 yards with a slope of 116 for women playing from the forward tees. The scorecard indicates a good variety of distances for par 3's ranging from 155 to 254 yards, par fours: 310 to 471 yards, and par fives from 511 to 581 yards (all from tips). All carts include ProLink GPS providing accurate yardage to the flag from anywhere on the course. Yardage is also marked on all sprinkler heads, as well as 150 yard stakes in fairways on all par fours and fives. Score cards have a pin placement guide with a numbered system providing front, middle, and back hole locations. The efficient yardage info on course will afford golfers some assurance so they can focus on their swing instead of club selection. The price structure here is very reasonable - making this a good bang for the buck! For more info, visit our page for The Highlands, with direct link to their website by clicking here.